In 2016, the school started its journey to becoming a ‘Rights Respecting School’. This means that we recognise and work within the principles of the United Nations Convention on the Rights of the Child. The United Nations Convention on the Rights of the Child, or UNCRC, is the basis of all of Unicef’s work. It is the most complete statement of children’s rights ever produced and is the most widely-ratified international human rights treaty in history. The UNCRC has 54 articles that cover all aspects of a child’s life and set out the civil, political, economic, social and cultural rights that all children everywhere are entitled to. It also explains how adults and governments must work together to make sure all children can enjoy all their rights. 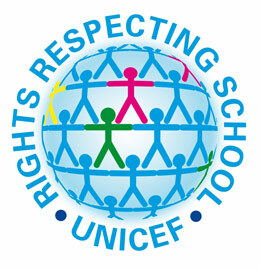 In 1989, governments worldwide promised all children the same rights by adopting the UN Convention on the Rights of the Child, also known as the CRC or UNCRC. The Convention changed the way children are viewed and treated – in other words, as human beings with a distinct set of rights instead of as passive objects of care and charity. These rights describe what a child needs to survive, grow, and live up to their potential in the world. They apply equally to every child, no matter who they are or where they come from. Document : What’s All this Rights Stuff About?